Day 7: Is Sugar Really Addictive? This question comes up far more times than you would think as there are some people that just do not believe that you can be addicted to any food but let’s look at the facts. To understand what’s happening, you need to understand what is driving the need to eat and to do that, we need to look at hormones again. We are pleasure driven people. Most of the things we like to do are driven by the reward center of the brain. There are 2 areas of the brain that control reward, the Ventral Tagmental area (VTA) and the Nucleus Accumbens. (NA) Pleasure happens when the VTA tells the NA to release dopamine. When that dopamine is absorbed by the D2 receptors in the NA, you experience pleasure. When you eat tasty food, (ie, food high in sugar, salt and/or fat) you get that dopamine hit and like what you’ve done. If your hormones are all working properly, you will eat until satisfied and quit before you overeat. But for many of us, those hormonal pathways are broken which leads to overeating. If you get constant dopamine hits from what you are doing, you will “wear out” those dopamine receptors, requiring greater and greater amounts of dopamine for the same amount of pleasure. This is the principle that leads drug addicts to take larger and larger doses of their drug of choice to get the same “high”. We are doing the same thing with our food. We need larger and larger “hits” of salt, fat and (mostly) sugar to get those same feelings of pleasure. Well guess who always puts tons of salt, fat, and sugar in their food? That’s right, the fast food industry. When things are working smoothly, you eat good food and your body releases dopamine so you enjoy it. When your body senses you have had enough, leptin is released which triggers the VTA to stop releasing dopamine, so your appetite is suppressed and you feel full. But if you are leptin resistant, the appetite isn’t suppressed and you keep eating. And as we discussed a few days ago, obesity is at its core, leptin resistance. Insulin also clears away dopamine from the cells, but what if you are both Leptin AND Insulin resistant? Now you have increased dopamine telling you how awesome it will be to eat junk food and the high insulin levels telling your body you are starving. What chance does your willpower have against that? When everything is working well, you smell the Cinnabon which releases a little dopamine to increase desire and your body secretes ghrelin, the hormone that gives you a feeling of hunger. You eat the Cinnabon, more dopamine is released because it tastes awesome, then insulin levels rise, clearing out the dopamine so it stops tasting quite as good. Then Leptin is released and you are full. But if you are leptin and insulin resistant, (and again, if you are obese, you are most certainly insulin and leptin resistant) that’s not where the story ends. The dopamine isn’t cleared out so that Cinnabon tastes awesome for far more bites than it should and the increased insulin tells your body that you should be hungry for far longer than you should and at the end of the day, you are a little fatter than when you started. This cycle is no different for food than it is for drugs or alcohol. Once you need more and more dopamine to get the same “high” from food you used to get, you are addicted. According to the American Psychological Association, you are addicted to something if you have just 3 of the following 7 symptoms. Tolerance – You need more food to get the same pleasurable effect. Why do you think you super size every meal or order the 20 piece nuggets when 10 pieces are plenty? Withdrawal – This can be physical symptoms like tremors or psychological ones like depression or anxiety if you don’t get the food you crave. I remember when I tried to quit drinking sodas, I was totally obsessed with drinking a Coke until I finally just gave in and had one. 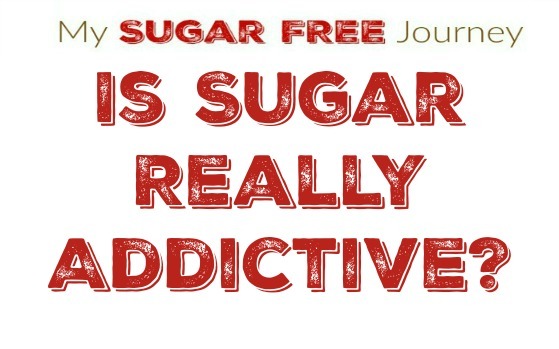 Have you ever tried to stop eating something like sugar or fast food only to be obsessed with it? Binging – This includes eating until uncomfortable, eating when not hungry, eating alone due to shame, feeling disgusted, depressed, ashamed or even panicked after overeating, Ever sit in the dark and eat an entire pint of Ben & Jerry’s? Desire or Attempts to Quit – The dieting industry is a $160 Billion a year industry. It’s not that the overweight aren’t trying to lose weight, they just don’t know how to do it and are fighting against their own physiology when they try to stop overeating. Ever stopped eating something for a few weeks or even months, then go right back to what you were avoiding until all the weight came back? Interference with Life – Has your addiction compromised your life? Ever had to buy 2 airline tickets because you couldn’t fit in one seat? Ever lost a job because you were too overweight to perform it or maybe never got hired because you were too fat? Use despite negative consequences – You know what you are eating is shortening your lifespan and causing you harm, yet you still continue to eat. How do you handle this addiction? How do you handle any addiction? Cut it out of your life, go through the withdrawal symptoms and never look back.